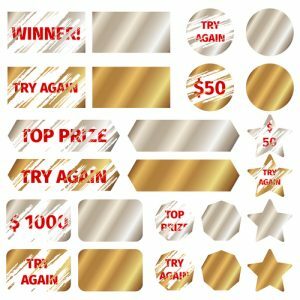 Home / Articles / How Do Scratch Card Fundraisers Work? A scratch card fundraisers works in a simple way. Each person involved in fundraising gets a scratch card and encourages donors to scratch a dot or two off of the card, revealing the amount they will donate. Most amounts are small ($1-$3), but the total value of each card is $100, which means for each card, you will get $100 in donations! Why are Scratch Card Fundraisers Popular? Scratch cards are a simple and high profit way to raise funds for your cause. Scratch card fundraisers are ideal for teams or groups, since you will raise more if you have more people participating. There are several places online where you can order scratch cards for your fundraiser. They generally cost about $5 a piece, but have the ability to raise $100 for your cause. You can often customize these cards to reflect your organization or groups unique personality. Order at least one card for each individual who will be involved in fundraising. Be careful not to overcommit- you don’t want to cut into profits by ordering too many cards. Hand out one or more cards to each individual who is taking place in the fundraiser. You should require that each person take one, but allow people who are feeling ambitious to take two or three. Once all of the fundraisers have their cards, it’s important that they understand the rules so they can effectively fundraise and maximize profits. Find your ‘donors’: It will be up to each individual fundraiser to go around with their scratch cards to solicit donations. There are 50 dots on each scratch card and once a dot is scratched, it will reveal a dollar amount (generally between $1-$3). This is the amount that the participant (the person doing the scratching) will donate. Your fundraising team will go around with these cards and find willing participants to scratch out dots and donate to your cause. Before sending fundraisers out, encourage them to clearly communicate these rules to people before allowing them to scratch. The last thing you want is participants who don’t understand the rules feeling as though they were tricked into a donation. Pool your money and enjoy the profits! Once all of the cards have been scratched, you should have raised $100 per card. It’s as simple as that. That’s a 95% profit when you take into account the initial $5 per card purchase price. There you have it. Scratch card fundraisers are a simple and low cost way to raise money for you cause. They can be fun for donors and planned in as little as one week. Please let us know if you have any questions or your own scratch card tips below.